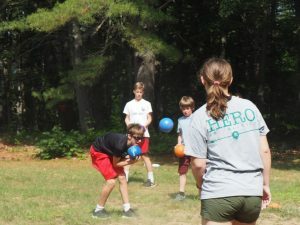 Many camps offer a Counselor-in-Training program as way to keep older campers for another year. They offer new experiences, perhaps some travel, and a few skills they’ll need if they become a counselor in the future. Our 6-to-8 week Quinebarge Counselor-in-Training Program is so much more. The Quinebarge Counselor-in-Training Program gives our 16-year-old participants skills for life, school, and work. All while preparing them to become counselors in the future. CITs can translate lessons learned to nearly any field, and hours spent contributing to Camp can be logged for volunteering or community service. 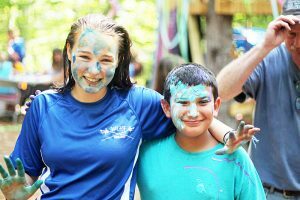 If you’re looking for summer camps with Counselor in Training programs in NH, you’ve come to the right place. Apprenticeships: CITs are assigned an activity apprenticeship each week, and spend each morning mentoring under a counselor at that activity to learn the ins and outs of running it. 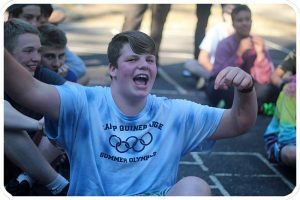 CITs lead a few activities each week with support, and work in pairs to lead 1-2 evening activities each summer. We assign each CIT to a cabin, where they will assist in leading cabin responsibilities. Our Counselor-in-Training Program builds on skills learned as campers, helping teenagers make the leap from camper to counselors. It’s more than a work program – Counselors-in-Training have fun and form strong bond of friendship, just like our younger campers. In fact, our team-based approach fosters even stronger friendships. We guarantee that teenagers will leave Camp Quinebarge stronger, more confident, and ready for life’s next challenge.